When my mother passed along a recipe, she usually typed it on a 3×5-inch card. 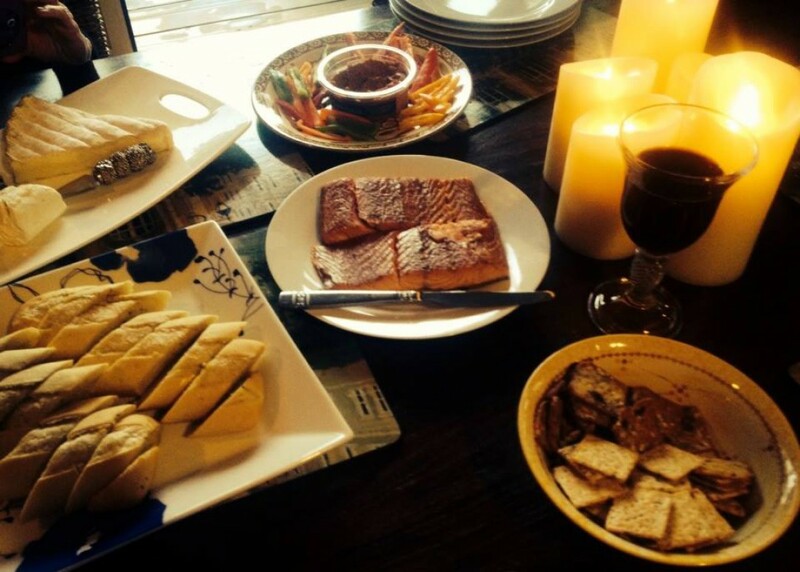 I’m always amazed by the effort she put into sharing food ideas (but rarely thoughts or feelings). This particular recipe came from Merron S., the daughter of Mother’s good friend Frieda B. who ran the (now closed) Lewisburg Inn and its lovely dining room. I must have received it more than 20 years ago, filed it away forgotten until I had the same salad at the (also closed) strange old Monte Vista Inn in Black Mountain, NC, with the endless buffet and the wizened cocktail pianist. My friend Beth says that when she had some leftovers after Thanksgiving (no matter what she says, she did NOT take them accidentally! ), she added them to the pan with broiled garlic-lemon flounder. Her second variation combined pine nuts and feta cheese with the last bits of cold salad. You can also vary the original salad preparation. Making it for Thanksgiving, I chopped frozen (blanched) broccoli by hand. I ran cleaned and drained fresh cauliflower florets through the food processor. (Freeze stems of both cauliflower and broccoli for stock or soup.) You don’t want the florets minced to mush; nor do you want great lumps of rock-hard crucifers. Whisk together mayonnaise, vinegar, sugar, oil, salt and pepper (celery seeds if using) until smooth and oil, incorporated. Pour over prepared cauliflower and broccoli and toss. Let stand overnight, covered, or at least 2 hours. 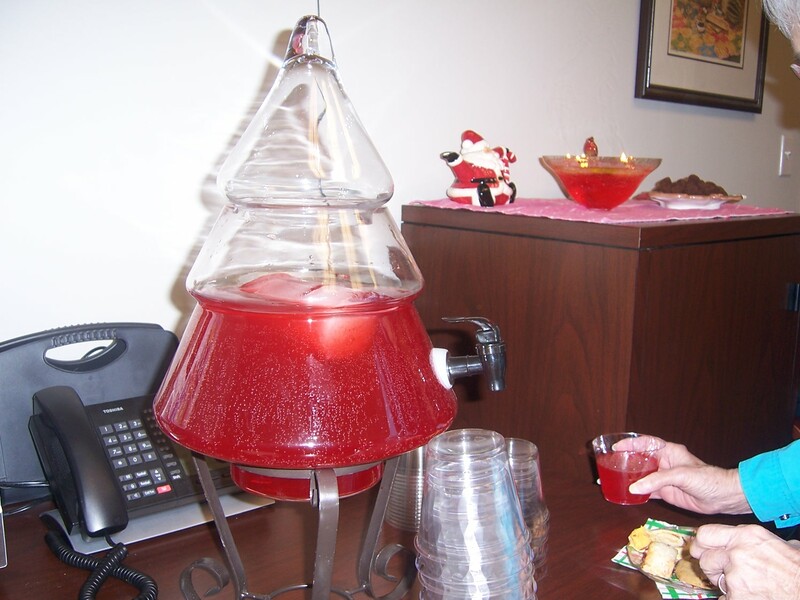 My friend Maggie's amazing Christmas party punch dispenser!